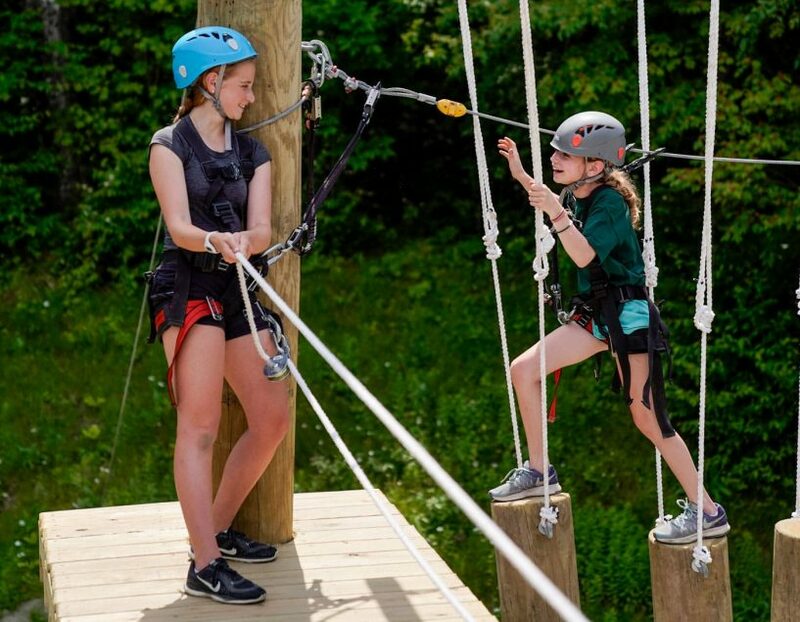 Our Outdoor Adventure Program is unique in the world of camping today, and provides experiences that encourage children to gain confidence, leadership skills, and a spirit of adventure. 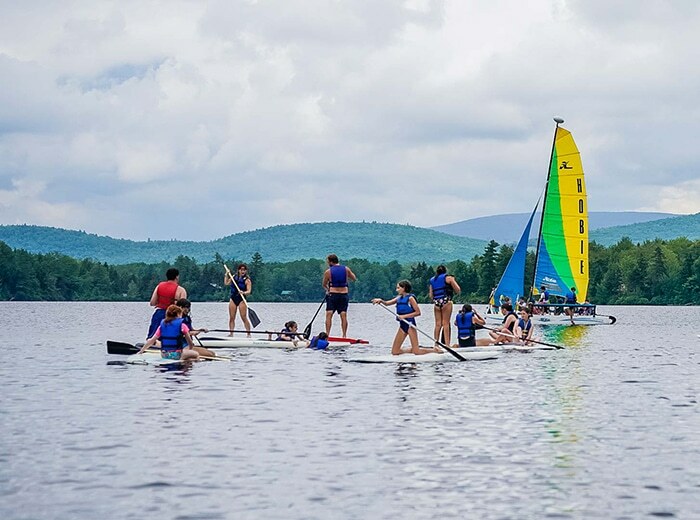 Within our awe-inspiring setting, campers get a true break from their online lives and develop an affinity and sense of responsibility for the majestic forests and historic White Mountains surrounding our 300-acre campus. 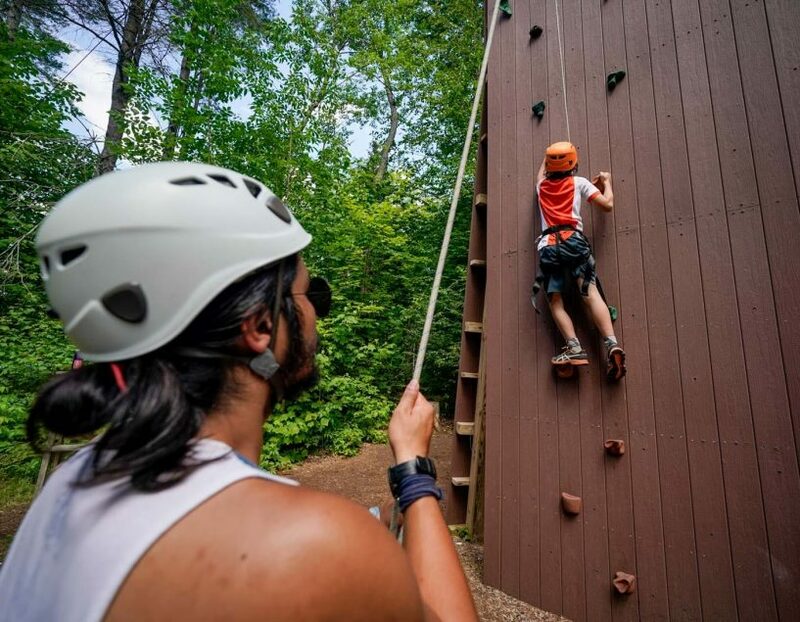 Whether attempting the 45-foot-high climbing wall, exploring the brand-new Aerial Adventure Course, working together on the Low or High Ropes Courses, pitching a tent on an overnight camping trip, challenging the rapids of the Kennebec River while whitewater rafting or exploring mountain trails, campers learn to set goals for themselves with the help of our certified professional staff. 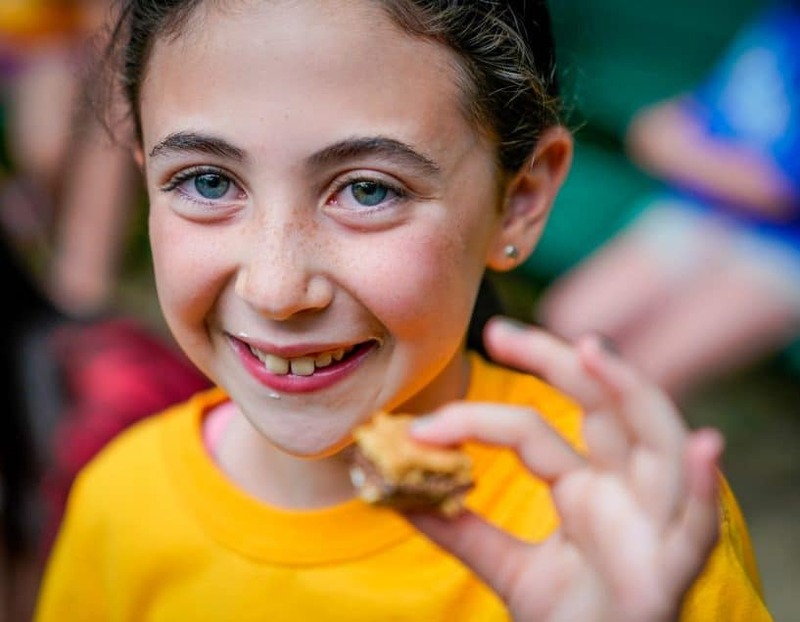 These are the kinds of experiences they’ll remember for a lifetime. 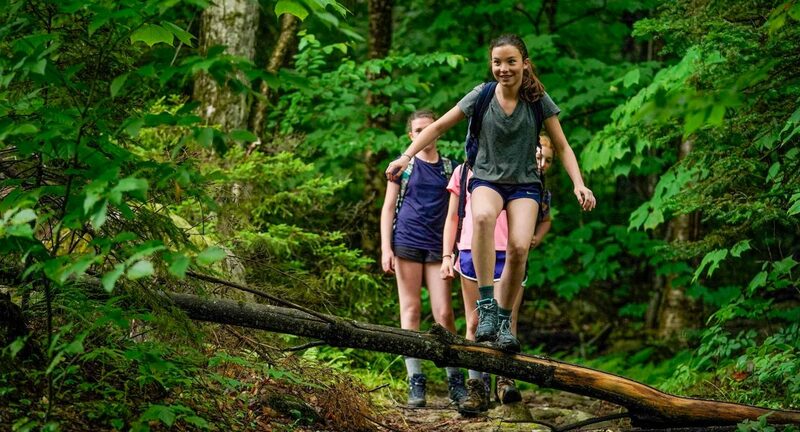 On one of our weekly hikes, campers might climb to the top of a 4,000-foot peak or take a short hike to a beautiful waterfall with a natural rock waterslide. 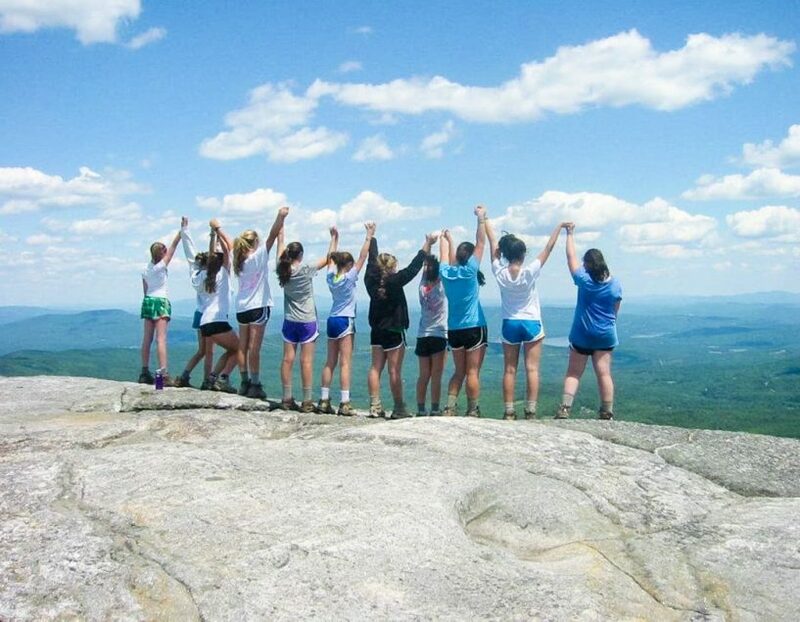 Each hike is geared toward the camper’s age and led by our experienced hiking and camping staff, who make hikes fun with riddles, songs and games along the way. 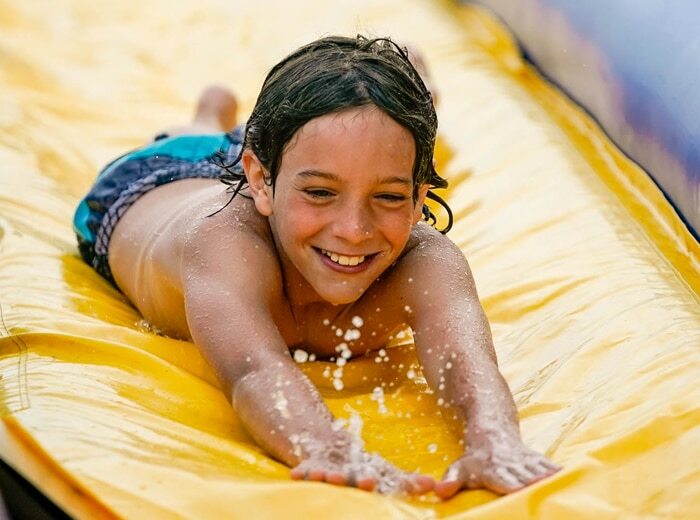 Younger campers enjoy spending a night at a local campsite we own on Baker River, ten minutes from camp. 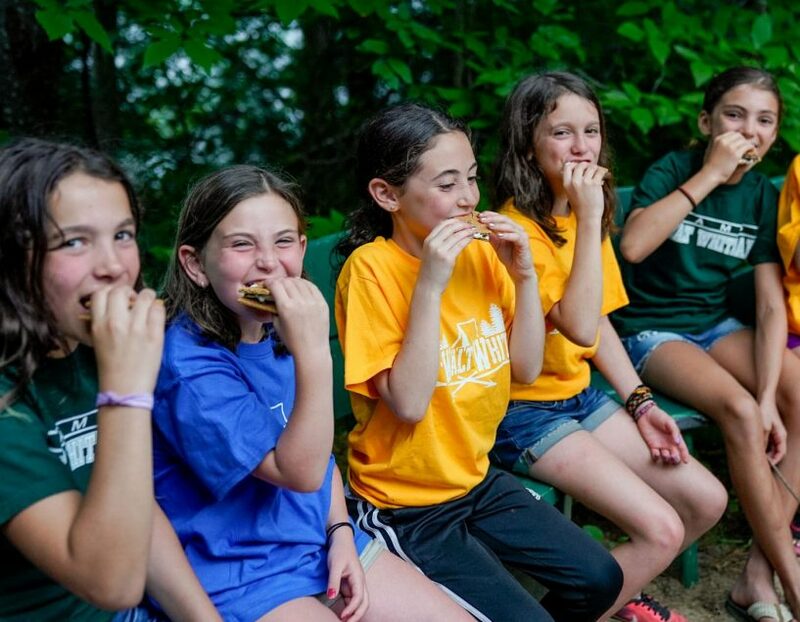 Cabin mates set up tents together, cook dinner and have lots of s’mores over the campfire, while telling stories and singing songs. 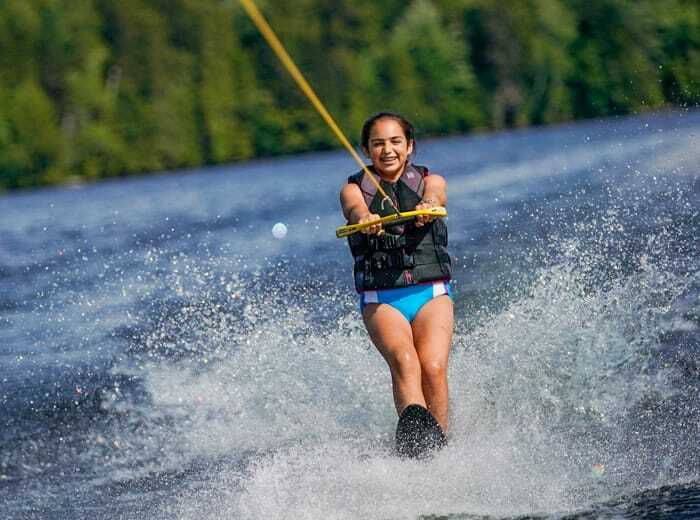 The next day is spent swimming in the river. 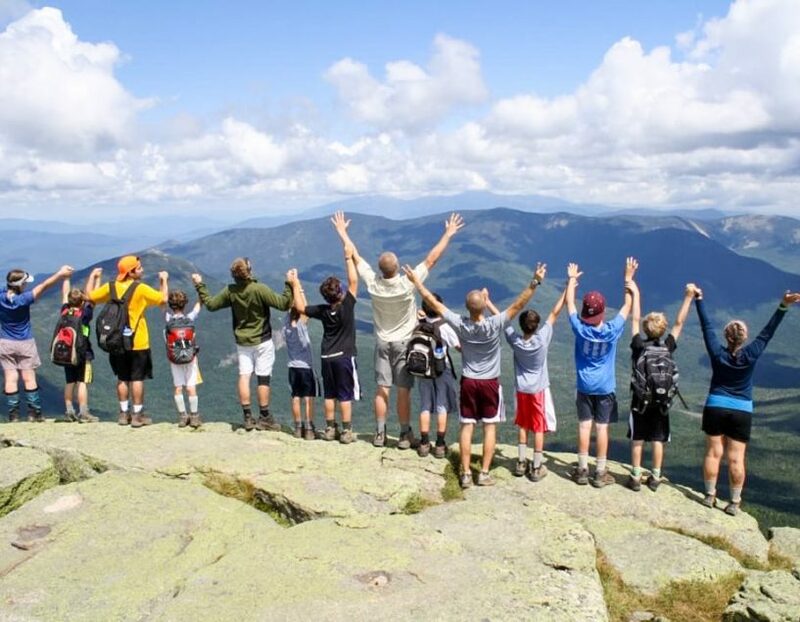 Our older campers, meanwhile, have the opportunity to participate in three- and five-day backpacking adventures, biking trips and canoeing expeditions. 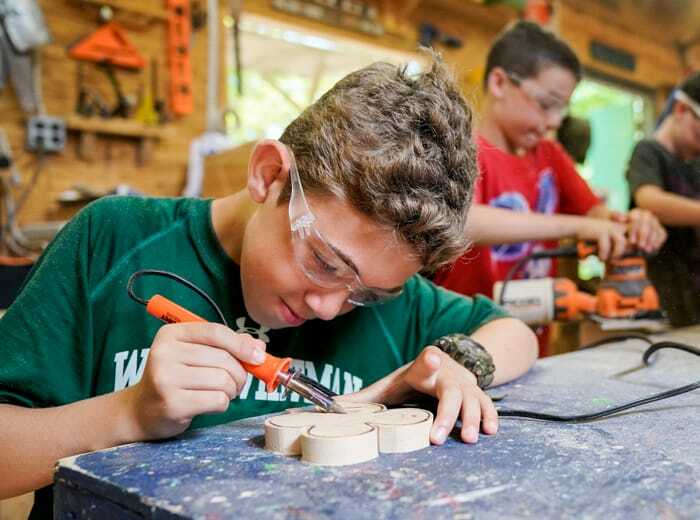 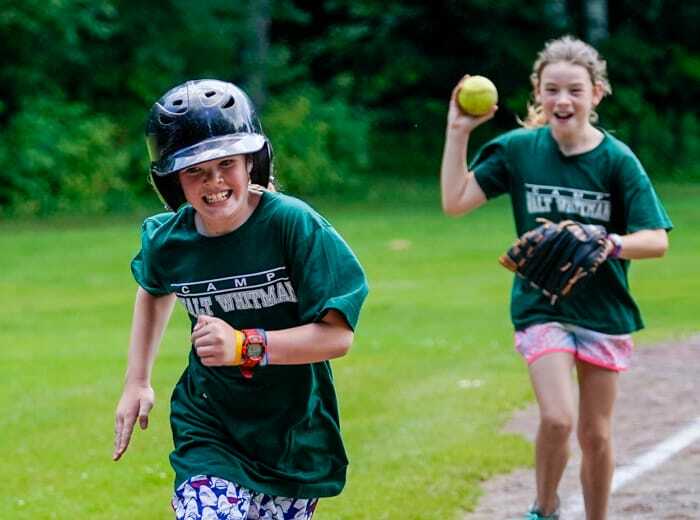 Weeklong trips to the Maine seacoast, Acadia National Park, Montreal and Quebec City are also part of their adventurous summer at Camp Walt Whitman.